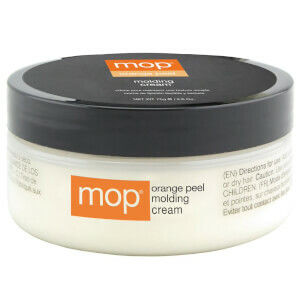 MOP Haircare are all about being inclusive, accessible and thoroughly one's self. Founded on these pillars over 15 years ago, they offer a range of ethical, salon quality haircare products suited to everyone. MOP asks that you embrace their 'Modern Original Perspective' on haircare and understand that they strive to make each product cruelty-free and vegan. 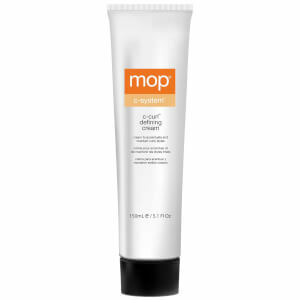 With absolutely no nasties, MOP shampoos are designed to keep hair healthy whilst avoiding the harsh chemical ingredients many haircare brands now incorporate into their products. With a little bit of eccentricity and a lot of thought, these guys have made their name in the industry, and are definitely here to stay! Even celebrity stylists have jumped on board the MOP bandwagon - their products have been used to tame the manes of Rihanna, Halle Berry, Priyanka Chopra and more. Give your hair a shake up with one of the all-natural shampoos available from MOP. Where each scent represents a different hair type and goal, there are five product ranges available in the MOP Haircare range. Revitalise and replenish the hair with fresh, invigorating Basil Mint. This is ideal for normal to oily hair types as it'll help remove any scalp build-up and keep the hair feeling super clean. Switch out your regular shampoo for this well-received product and notice the difference it makes, helping alleviate and prevent against that greasy feeling. Make sure you get your fix of greens, both on your plate and now, in your hair! After all, a good dose of Mixed Greens could be what your hair needs. The MOP Mixed Greens shampoo has a moisturising formula that will help soften and nourish dry, damaged hair. The result is hair that feels healthier for way longer and a lasting shine to rival your post-salon look. Don't forget to condition using the same range if your hair really needs that extra boost in hydration. There's even a leave-in treatment that'll protect and strengthen the hair, as well as imparting unmatched moisture. Dull, limp or lifeless hair will lap up the MOP Lemongrass range, designed for ultimate volume. Start off by shampooing and conditioning with these products, and really feel the difference they make. Hair will feel smooth and soft yet full of new life and density. Say goodbye to the days of limp ponytails or an inability to hold styles! To really amp up the volume, use the complementary styling products from the MOP Lemongrass range to help create your 'dos. 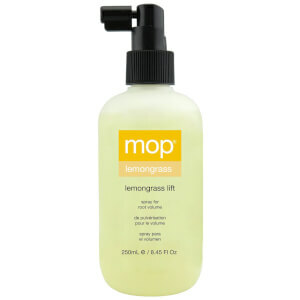 The Lemongrass Volume Whip is ideal for giving the hair some more thickness, with medium hold and long-lasting results. Other essential ingredients like Grapefruit Oil help strengthen and protect the hair. If you're on the go, we love the Lemongrass Lift Root Spray for a quick fix. This conditioning and lifting mist is the easiest way to re-inject the hair with that extra bit of bounce. Tangles will be powerless against the MOP Pear line, ideal for 'crabby' hair that's prone to knots, frizz or simply looks a little worse for wear. After using these gentle yet effective products, hair will be more manageable and stay under control for longer. Styling will be an absolute breeze after incorporating these into your haircare routine! For a post-shower hero that'll help detangle and smooth the hair, you'll love the MOP Pear Detangler. Formulated with pear, aloe and silk amino acids, this product is powerful yet chemical-free, meaning hair will be naturally revitalised. 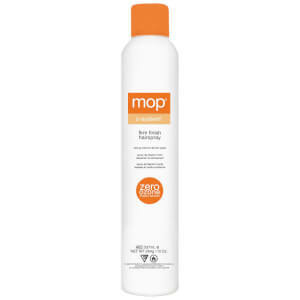 The final range available from MOP is a must-have for hair that's sensitive to harsh sulphates. The C-System products are packed full of antioxidants to help give the hair a thorough clean without the nasties, leaving your locks feeling well-cleansed, smooth and manageable. Curly hair will also adore the C-System line, especially the Curl Cream, which will help define curls, lock in moisture and minimise frizz. Pair with your C-System Shampoo and Conditioner and feel the difference after just one use. 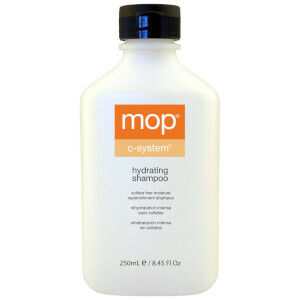 Reinvigorate your hair the natural way using MOP products today, available from RY at the lowest price, guaranteed.